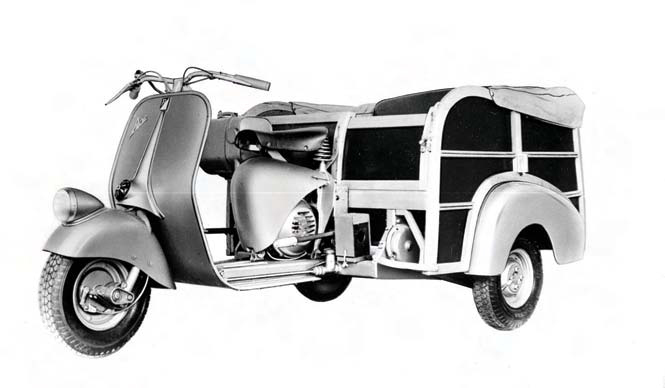 Since the Second World War, Piaggio has pioneered the mobility revolution, improving the quality of life of Italians and other Europeans. Aprilia Racing launches the "Factory Works"
Aprilia Racing – the Piaggio Group's most advanced development, innovation and experimentation platform – launches the "Factory Works" programme a the end of 2015 to make the same technology developed for the world champion bike available to anyone who wants to compete in top level factory derivative championships or for those who simply want to have an RSV4 with optimised performance for track use. The programme includes the realization of RSV4 “Factory Works” bikes developed in compliance with the Superstock and Superbike championship regulations in the different countries, with various levels of chassis, electronics and engine modifications. 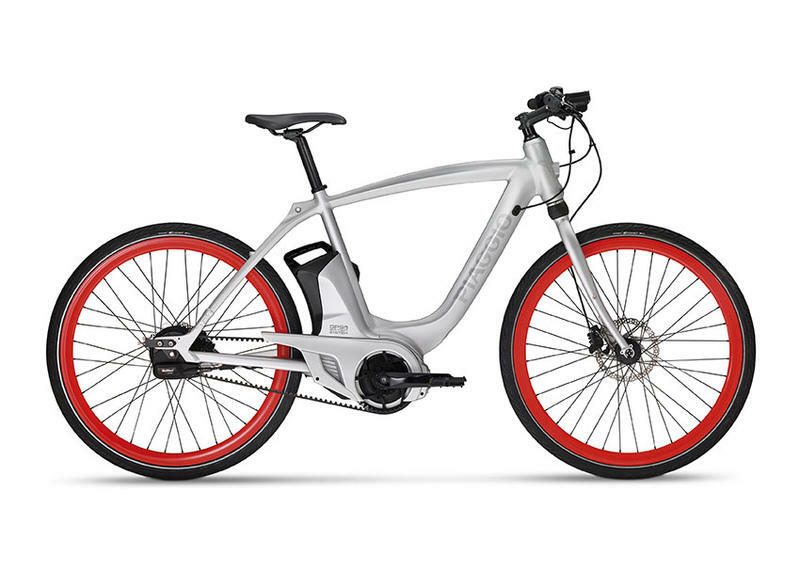 In Milan, Piaggio introduces the Wi-Bike, an absolutely innovative vehicle which is at once an evolved mobility solution, something to enjoy in your leisure time and an extremely advanced fitness too.. Wi-Bike was entirely designed, developed and manufactured in the Piaggio Group plants in Italy. Piaggio Wi-Bike goes beyond the concept of an electrically assisted-pedal bicycle and approaches the market as a vehicle that interprets the most progressive mobility needs at 360 degrees, no longer intended simply as the ability to move about, but also as the presence and sharing of information over the most modern network and interaction forms with your vehicle. New Vespa Primavera and Vespa Sprint: once again, Vespa confirms its technological cutting-edge, which has always distinguished it and left its mark on history, proving to be one of the most modern and safest vehicles in the world. Introducing the new versions of Vespa Primavera and Vespa Sprint, the two Vespa “small bodies” which are heirs to the legendary “Vespino” that charmed and transported entire generations of young people all over the world in the ’60s. Great success for Moto Guzzi Open House, the weekend dedicated to passion for the eagle brand, from 9 to 11 september. 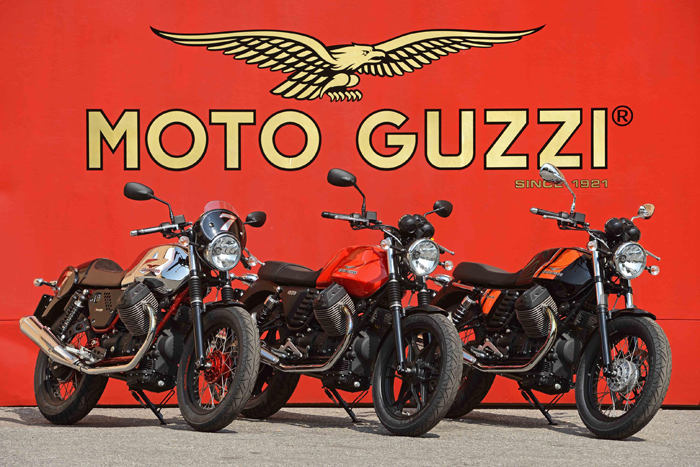 Moto Guzzi celebrates 95 years and opens a five-year period of celebrations that will lead up to the centennial. The first, long voyage of the most luxurious and spectacular Italian motorcycle ever designed reaches its first destination at the legendary South Dakota event, directly in the deepest heartland of America. This brings Moto Guzzi into a new market segment, the large cruiser segment, with an offer that is completely new in design and cutting-edge technological content. The eagle brand's strategy is therefore structured on two fronts: on one side, the complete renewal of the range that already enjoys the success of the V7 and V9 ranges, and on the other, the entrance into new markets characterized by large volumes like the American market (the biggest in the world for cruiser motorcycles) that, with their strong motorcycle culture, recognize the value of the Italian brand. The Piaggio Group enters the indian scooter market with the Aprilia brand. Marketing begins of the Aprilia SR 150 sports scooter in India, whose scooter segment is the largest market in the world, with annual shipments of almost five million vehicles in 2015 and growth of 20% in the first half of 2016 compared with the year-earlier period. Established Piaggio Fast Forward as a company owned by the Piaggio Group. Its purpose is to develop a new approach to research with the aim of interpreting the signs of change and finding intelligent solutions to the problems raised by change and the needs of the future. PFF is based in an outstanding location: Cambridge (Massachusetts, USA), where research, academia, visions of the future, technology and enterprise come together in a mutually beneficial community. The Aprilia project steps in MotoGP include a first year - the 2015 season - dedicated entirely to development, even and especially in race conditions, before introducing a Full Factory configuration prototype bike on the track in 2016. This is an ambitious checklist but well within the capabilities of the designers, technicians and structure of Aprilia Racing at Noale, who in turn can depend on the Piaggio Group R&D centres, one of the major global players in the two-wheel sector. To mark the year 2015 – the 40th anniversary of the foundation of Giorgio Armani and the 130th birthday of the Piaggio Group – Emporio Armani has designed a special version of the Vespa 946. In keeping with Armani’s signature subdued colour palette, the designer has come up with a special combination of greys with subtle hints of green visible only under particular light conditions for the project. Piaggio Vietnam celebrates the 500,000th scooter to leave the production line at the Vinh Phuc factory in Vietnam, another significant milestone in Piaggio Group operations on Asian markets. 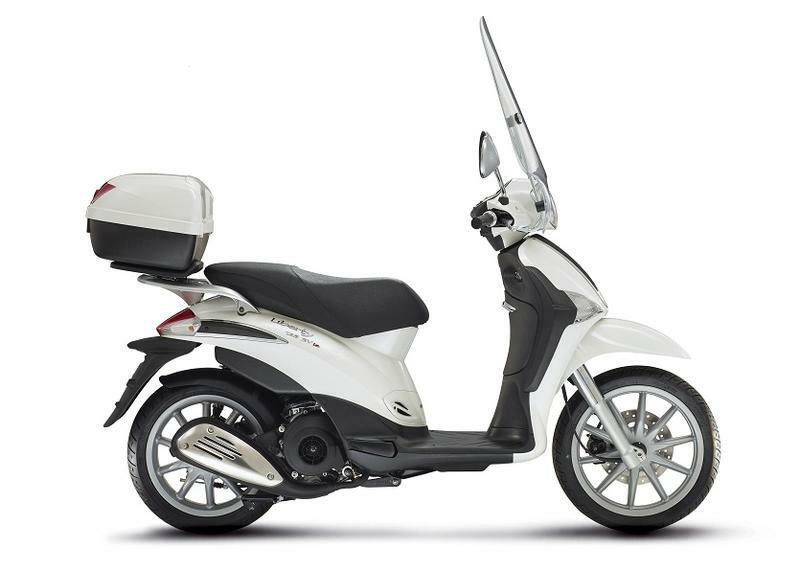 The 500,000th scooter produced by the Piaggio Group’s Vietnamese factory is a white Vespa Sprint 125. In June 2014 the first Motoplex was opened in Mantua. Motoplex is a new and revolutionary “concept store” that promotes the best of the Piaggio Group in a single location. Much more than a simple shop, the Motoplex concept connects the physical setting with the digital world, breathing life into a true motorcycling experience in a high quality space that is capable of informing and involving the public as never before. New technical details and attractive colour variants for the three versions – Stone, Special and Racer – of the "seven-fifty" from Mandello del Lario. The new Vespa GTS and Vespa GTS Super make their début, equipped with ASR traction control and ABS braking, cutting-edge electronic systems for active safety. These two new models are made in the spirit of the highest safety standards and even greater comfort thanks to the newly designed front suspension and new generation gadgets such as the Vespa Multimedia Platform, conceived to connect your Smartphone to your Vespa. 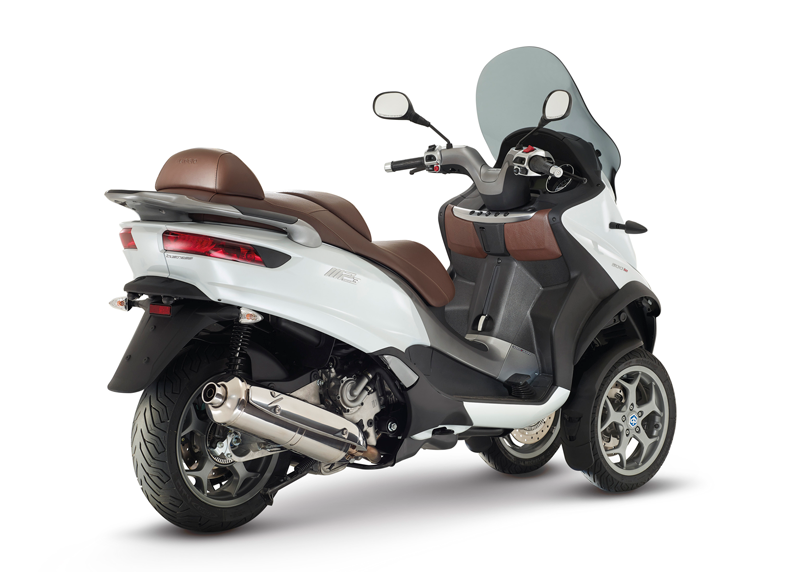 The new Piaggio Mp3 makes its début on the European markets. The three wheeled scooter from Piaggio, the advent of which – and with 150,000 sold since its launch – created a new market segment and revolutionised urban and metropolitan mobility, has been completely revamped with a new, more modern and more comfortable body and equipment complete with electronic control systems such as ABS and ASR (the traction control system exclusive to Piaggio) which further increase the already legendary safety levels and riding pleasure. Aprilia officially announces that they will enter the Grand Prix motorcycle racing in the MotoGP class. Aprilia officially announces that they will enter the Grand Prix motorcycle racing in the MotoGP class. The Aprilia brand's return to the top world motorcycling competition will take place in 2015, a year ahead of their previously announced plans. Sylvain Guintoli is 2014 World SBK Champion on his Aprilia RSV4. Aprilia doubles the celebration by becoming the Manufacturer World Champion for the third consecutive year, reaffirming the undisputed technical superiority of the RSV4, the Italian bike that has rooted the best competition in the world since its rookie year in World SBK (2009), winning 7 World titles (three Rider and four Manufacturer). This world championship combination (Rider and Manufacturer) is the third one for the Aprilia RSV4 after sweeping the competition in 2010 and 2012 with Max Biaggi. The Piaggio Group launches "Vespa for Children"
The Piaggio Group launches "Vespa for Children", a new area of corporate activities announced today for the first time by Group Chairman and CEO Roberto Colaninno, during the Piaggio Annual General Meeting. 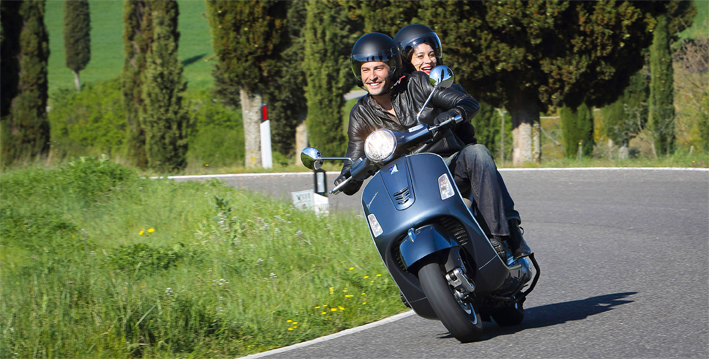 "In Italy and around the world the Vespa stands for quality of life, for a variety of reasons over and beyond its style or the fuel-efficient low-emission engines we have developed. The Vespa is a scooter that is a pleasure to look at, to own and to ride. As I often say, people riding a Vespa through the city have a smile on their faces," said Mr Colaninno. "The Vespa has taken us to every corner of the planet. We have production facilities in distant countries. And we believe that we should also be leaders in quality of life in the communities where we operate". 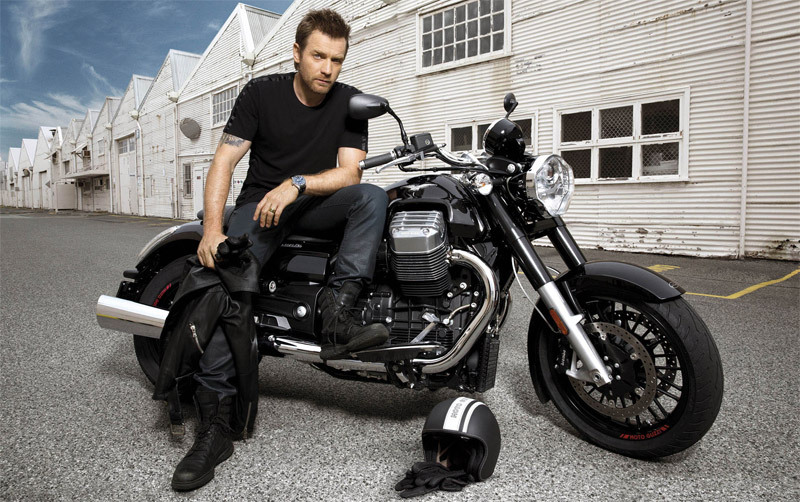 Ewan McGregor is the testimonial for the new Moto Guzzi California 1400. This is the first time that a Hollywood star of this calibre, one of the most beloved on the silver screen, has lent his face to a motorcycle manufacturer for an advertising campaign. Presented at Bombay the Vespa VX, the new scooter produced in India at its Baramati factory (State of Maharashtra). The Group also announced important plans to expand the Vespa offer on the Indian market, the world’s largest two-wheeler market where sales topped 13 million vehicles in 2012. Piaggio Liberty, The high wheel scooter, among the most loved and sold the world over - more than 800,000 - has been greatly renewed. Exceptionally low consumptions and increased performance thanks to the new modern 3-valve injection engine.Renewed chassis, improved ergonomics and a higher load capacity: the new Piaggio Liberty 3V is the newborn star in its segment. 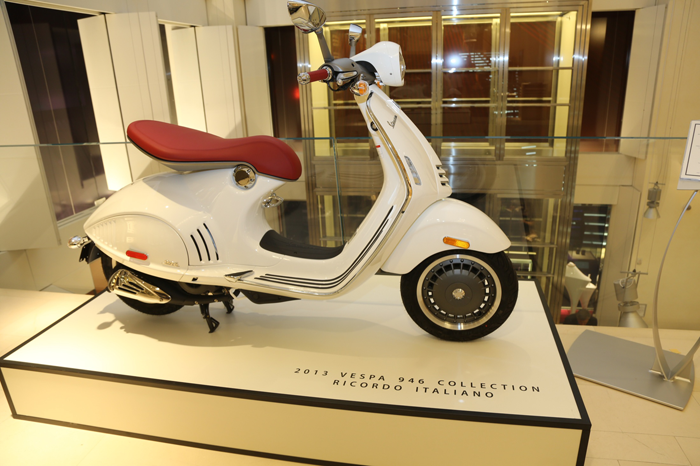 The unveiling of the Vespa 946 on the US market takes place in New York, in one of Manhattan’s most exclusive locations, the Bulgari flagship store on 5th Avenue. 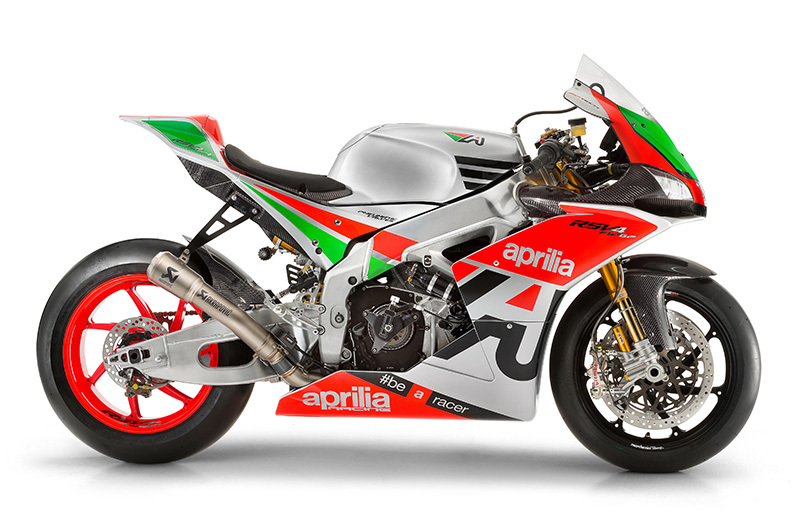 Aprilia is world superbike 2013 manufacturer champion. This is Aprilia's fifth title in SBKk in the last four years and world championship number 52 for the Italian brand. The Vespa LX 125, developed specifically for the Indian subcontinent market, is unveiled at the Delhi Auto Expo, the largest car and motorcycle show in Asia and one of the main motoring reviews in the world. Production begins in the Spring simultaneously with the grand opening of Piaggio Group's new plant at Baramati (State of Maharashtra). The Piaggio Group officially launches a new and decisive development phase in Vietnam for its Asia Pacific operations with the grand opening of a new engine plant destined for production of power trains for associate Piaggio Vietnam's vehicles, whose production capacity will increase to 300,000 vehicles/year. In Miami the new Moto Guzzi California 1400 is officially unveiled and the opening of an Advanced Design Center is announced for the United States with headquarters in Pasadena, California. The large cruiser from the "eagle brand" is introduced in its definitive version in November at the Milan motor show and immediately placed on the market. Moto Guzzi also unveils the new range of the lucky V7 series: V7 Stone, V7 Classic and V7 Racer are unveiled at the historic Mandello headquarters and contribute to Moto Guzzi's positive performance in the market. Vespa is the protagonist with the arrival of a new, highly advanced engine on the LX. The new single cylinder 3 valve 125/150 establishes itself as a champion of economy and ecology, achieving a range of more than 50 km/l and extremely low emissions levels. The Piaggio brand returns as a key player in the rich maxiscooter segment, proposing the Piaggio X10 which, available in 125, 350 and 500 engine capacities, meets any and all mobility needs and contains a wealth of high level technical and stylistic content: from ABS to traction control to material quality, everything on the X10 works together to make the Piaggio maxi an example of comfort and safety. In the Spring Aprilia launches the SRV850, the most powerful and fastest scooter ever produced, distinguished by typically sport aesthetics it is powered by a twin cylinder 90° V engine and it adopts advanced safety systems such as traction control and ABS. At the end of an exciting sport season where all the largest international manufacturers held their collective breath down to the last turn, Aprilia triumphs in World Superbike. Once again it is a double win: Max Biaggi takes the Rider championship and the Aprilia RSV4 takes the Manufacturer wreath. With these achievements, clinched in the last race on the French Magny - Cours circuit, Aprilia increases the number of world championships won in the various sport motorcycling disciplines to 51 while the total collection of Piaggio Group wins reaches the extraordinary milestone of 101 championship titles, making it the most victorious European motorcycle group in history. 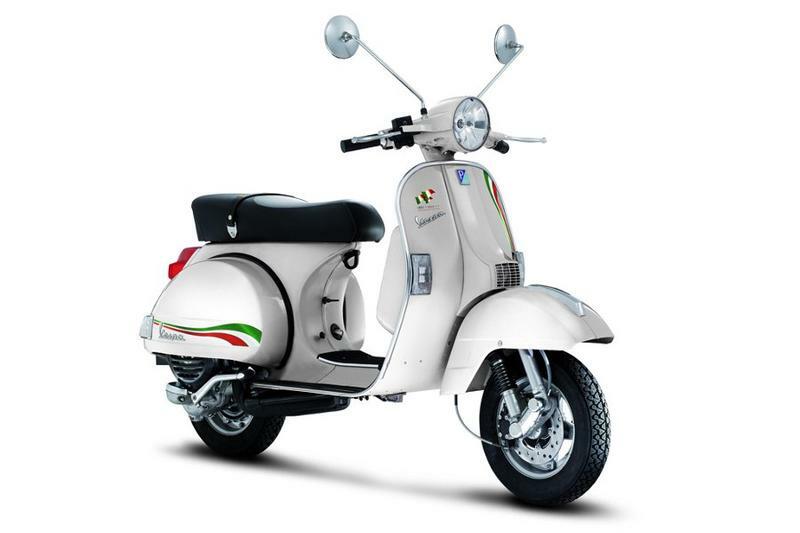 Vespa PX celebrates the 150th Anniversary of a United Italy with a special series. A new phase of development opens up in the Asian markets. Roberto Colaninno opens the new industrial area where the Group's Vietnamese plant will be expanded, located in the Vinh Phuc province near Hanoi. In Milan the Group's 2011-2014 Strategic Plan is presented. On the product front Aprilia introduces the second application of its extraordinary 1000 cc V4 engine with the Tuono V4 APRC, the highest performance naked bike in the world. Piaggio MP3 Yourban is the most agile and lightweight version of the revolutionary three wheeled scooter. A new 350 engine débuts on the best seller Beverly characterised by cutting-edge technical and constructive solutions. Moto Guzzi launches the new 8V versions (engines with four valves per cylinder) of the great tourer Norge and the all-terrain Stelvio NTX. 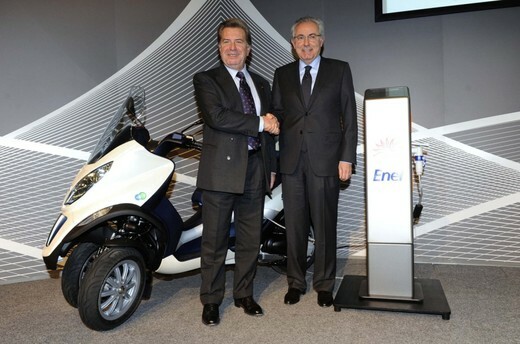 Enel and the Piaggio Group, respectively represented by Managing Director and General Manager Fulvio Conti and CEO and Managing Director Roberto Colaninno, sign an agreement for the development of mobility at zero environmental impact. 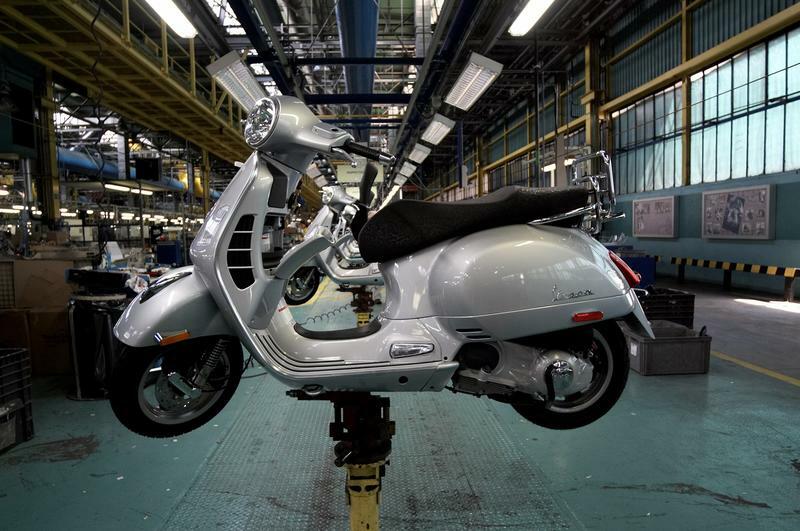 The Piaggio BoD approves the strategic lines and the industrial project of a new initiative that the Group will realise in India with the goal of manufacturing and marketing two wheeled vehicles, beginning with the Vespa LX 125 model, designed and developed for the Indian market. Just one season after making their début, the RSV4 and Max Biaggi triumph in the World SBK Championship, taking both the Manufacturer and Rider title. The victory is historic - the first one by an Italian rider on an Italian bike in the top world championship for factory derivative bikes. Simultaneously with the championship triumph the RSV4 available to the public is joined by the R version. The new high wheel scooter Beverly 300 is introduced under the Piaggio brand, the newest heir in a generation of vehicles that have made history in the "high wheel" segment. The design of a new hybrid engine for the MP3, to be marketed in the autumn of 2009, is completed. The first hybrid scooter in the world, powered by two motors, one electric and one combustion, which operate in synergy thanks to a highly advanced electronic management system, is introduced and placed on the market during the summer. 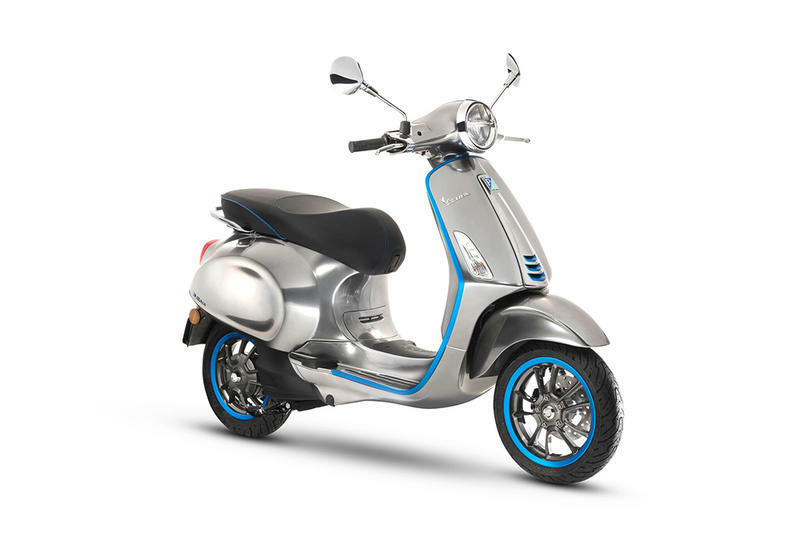 This makes Piaggio the first and only manufacturer in the world to offer hybrid technology on a scooter. 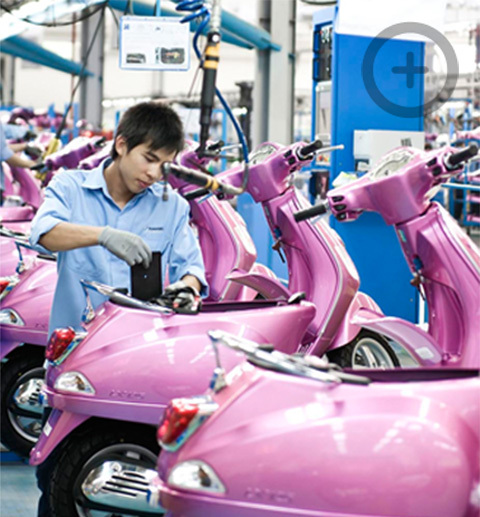 Piaggio Vietnam Ltd., Vietnamese subsidiary of Piaggio Group, officially launches sale in the local market of the Vespa LX scooter produced in its plant located in the Binh Xuyen industrial district (province of Vinh Phuc). The Aprilia brand launches the RSV4 supersport bike. An extremely innovative product characterised by the exclusive motoring technology of the V4, a one litre, four cylinder narrow V engine. The RSV4 makes its début simultaneously in World SBK, the championship for factory derivative bikes, ridden by multiple World Champion Max Biaggi. The bike immediately proves to be a winning project, achieving a race win in its rookie season. The organisational structure of the Piaggio Group is revised, with the Group now organised by Business segment (Two-wheeler sector and Commercial Vehicles) and geographical segment. Aprilia wins the manufacturers' title in the 125cc and 250cc world championships. The Italian rider Marco Simoncelli, with his Gilera, wins the 250cc world title and the French champion Mike Di Meglio, riding a Derbi, wins the 125cc world title. In October, the production unit at Hanoi, Vietnam, is completed. In October, the production unit at Hanoi, Vietnam, is completed. Piaggio & C. shares are listed on the Milan Stock Exchange. The first three-wheeler scooter, the Piaggio MP3, is presented. 11 january 2005 - On its first meeting, the Board of Directors of Aprilia S.p.A appoints Roberto Colaninno as Chairman, Rocco Sabelli as Chief Executive Officer and Ivano Beggio as Honorary President. Gianclaudio Neri is appointed General Manager. The Aprilia Product/Brand Management function is established and entrusted to Leo Francesco Mercanti. 9-10 march 2005 - The Vespa LX, the 139th Vespa model introduced since 1946, is launched in Rome with the Piaggio Group Chairman Roberto Colaninno and CEO Rocco Sabelli. Piaggio enters into a strategic business agreement with the Chinese Zongshen Group for the manufacturing and sales of engines, vehicles and components based on Italian technology for Asian markets. Mr. Wen Jiabao, Prime Minister of the People's Republic of China, visits the Group's headquarters in Pontedera, welcomed by Chairman Roberto Colaninno, Chief Executive Officer Rocco Sabelli, by the management and Piaggio employees. Immsi S.p.A., an industrial and real estate holding company listed on the Milan stock exchange controlled by entrepreneur Roberto Colaninno, takes over financial control of the Piaggio Group's Italian and foreign operations. Top management turnover follows when Roberto Colaninno is appointed Chairman of the Piaggio Group and Rocco Sabelli becomes the new Chief Executive Officer. Gianclaudio Neri is appointed General Manager. The Piaggio Group acquires Derbi-Nacional Motor S.A. 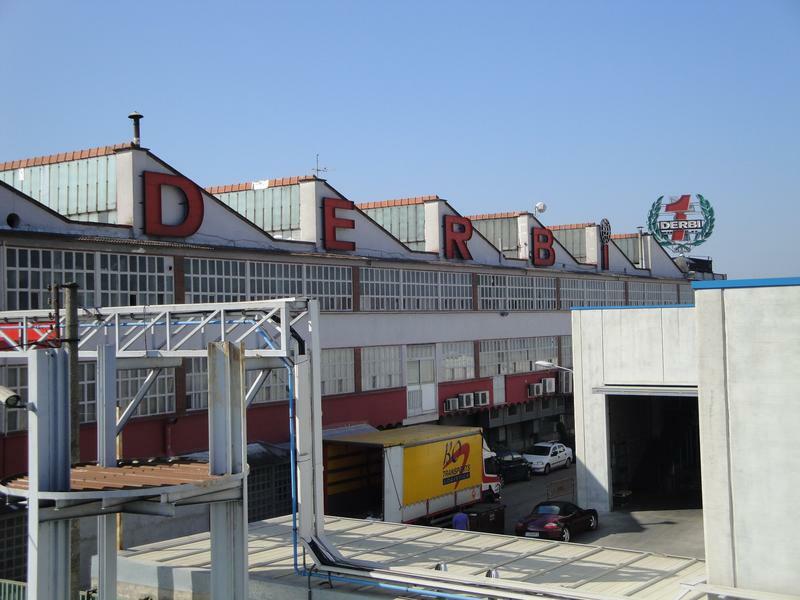 The Piaggio Group acquires Derbi-Nacional Motor S.A., a historical Spanish marque, brand leader in the small-capacity motorcycles segment. That same year, Gilera makes its return to the racing arena and wins the championship: Manuel Poggiali wins the rider's world championship in the 125cc category, adding yet another title to Gilera's collection of speed racing victories, that now totals 6 manufacturers' titles and 7 riders' titles. In 1999, the Company is taken over by the Morgan Grenfell Private Equity holding company. The following year, Piaggio USA opens up the first Vespa Boutique in Los Angeles. marking the return of Piaggio and the Vespa to the United States, which today count more than 60 Vespa Boutiques. The new Vespa is launched on the 50th anniversary of its revolutionary predecessor created by Enrico Piaggio and Corradino D'Ascanio. The following year is marked by the untimely death of Giovanni Alberto Agnelli. The Piaggio Group, led by Chairman Alessandro Barberis (whose successor will be Dante Razzano in 2001) with Stefano Rosselli Del Turco serving as Chief Executive Officer, is on the verge of a change in ownership. 1994 witnesses the launch of the Hexagon, a milestone in the maxi-scooter segment. Sfera was born, the first scooter with a plastic body made in Pontedera. The entry in the 90s marks the establishment of Piaggio & C. in holding company, while Giovanni Alberto Agnelli is elected president of Piaggio European Vehicles S.p.A. The Bravo moped is born, and the production of agricultural tractors begins. A new start-up is established in 1979: it is Piaggio Adriatica S.p.A., based in Lanciano with a production plant in Atessa. After the 1981 Bianchi acquisition, Vespa sales record a slight drop, offset by the introduction of new vehicles, such as Cosa, Superbravo, Grillo, ApeCar D, all launched in the 1987-1988 period. In 1988, Gustavo Denegri becomes Chairman of Piaggio, and Giovanni Alberto Agnelli is elected to the Board of Directors. Ciao is born and goes on to become the forefather of contemporary mopeds. 1969 is the year of the Gilera takeover. The Arcore-based company is one of oldest European motorcycle manufacturers and is well renowned for its racing success. I.A.M Rinaldo Piaggio (aviation-railway industry) and Piaggio & C. (scooters) split. While the Vespa export figures keep growing, new products are born. 1948 is the year of the Ape, a compact light transport vehicle that was to play a key role in reviving trade activities amidst the ruins of post-war Italy. The following year saw the birth of Moscone, a small, innovative marine outboard engine. The first Vespa prototype was produced in Pontedera and immediately put on the market. After a timid debut, sales pick up speed towards the end of that same year. 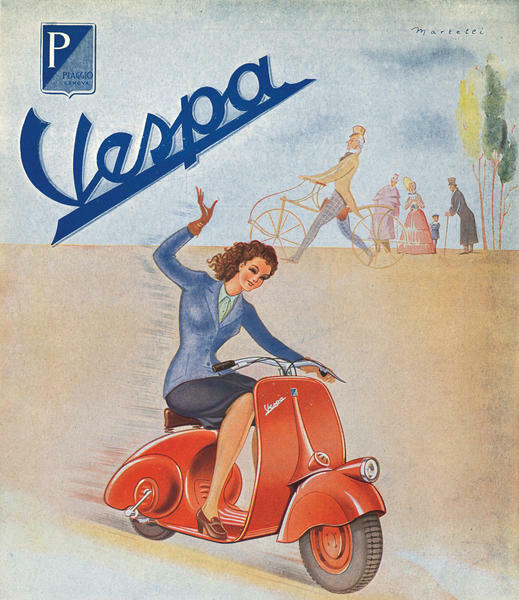 The Vespa is a huge, unprecedented success: the company was to turn out nearly one million units during the following decade and success soon expanded to export markets. 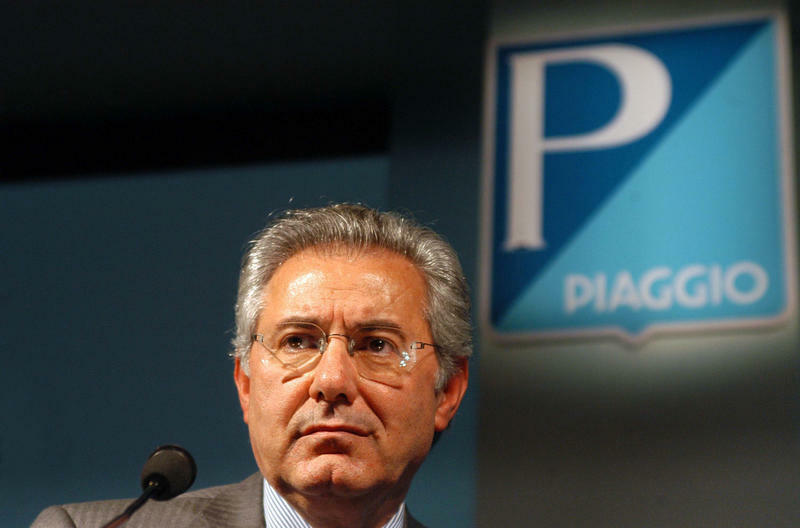 Rinaldo Piaggio dies and his two sons take over as Chief Executive Officers. Armando is responsible for the production facilities in Genova-Sestri and Finale Ligure, which focus mainly on the aviation and railway industries, while Enrico manages the sites in Pisa and Pontedera and nurtures an ambitious project: to help make mobility affordable and accessible to Italians by designing a simple, low-cost, easy-to-use vehicle. To develop his idea, Enrico calls Corradino D’Ascanio, the brilliant aeronautical engineer who fathered the first modern helicopter. After purchasing the Pontedera plant, the Company abandons licensed manufacture and starts producing engines and vehicles based on its own patents. A very successful period in the company's history begins: exports soar, as well as the number of employees, and Piaggio begins to manufacture virtually anything that has to do with transportation: cableway cars, funicular railways, trailers, trams, trucks and trolley buses. 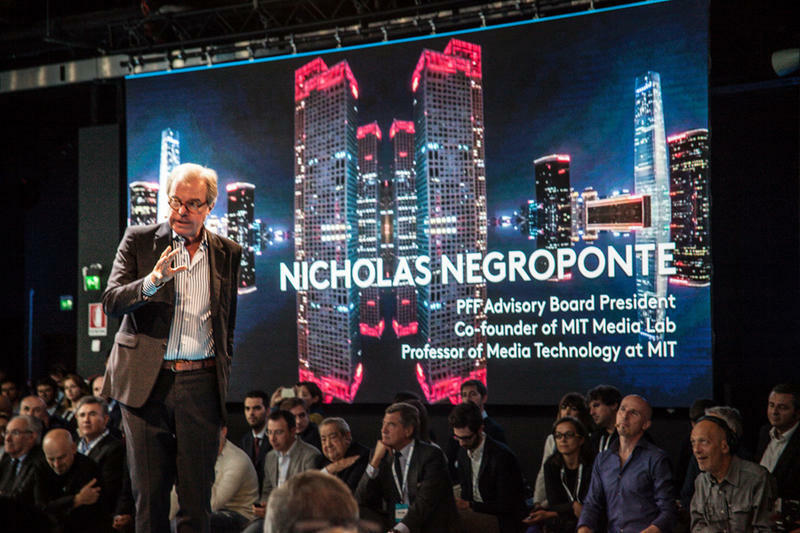 The social role that Rinaldo Piaggio envisions for the Company soon becomes clear: to help create jobs and contribute to national economic development. In 1920 the Company is restructured and Attilio Odero becomes Chairman and Rinaldo Piaggio becomes Chief Executive Officer. Set on developing the aviation business, Rinaldo Piaggio hires two engineers - Giovanni Pegna and Giuseppe Gabrielli - and puts them in charge of the Rondine aircraft prototype engineering project. Rinaldo establishes his own company, Piaggio & C, and chooses ship outfitting as its core business. The company - based in Sestri Ponente - is modern, efficient and highly mechanised. 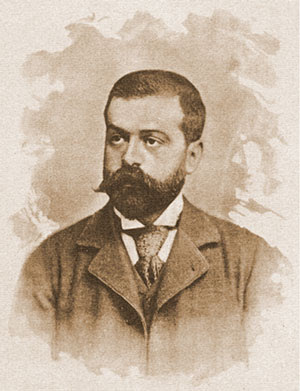 1889 marks the year of Attilio Odero's arrival, the company’s debut into the railways sector and the acquisition of a new workshop in Finale Marina. On September 5th, Enrico Piaggio closed the deal to purchase a plot of land in Sestri Ponente (near Genoa) where he planned to build a wood-working plant to supply the shipbuilding industry. His young son Rinaldo soon joined him in the project.